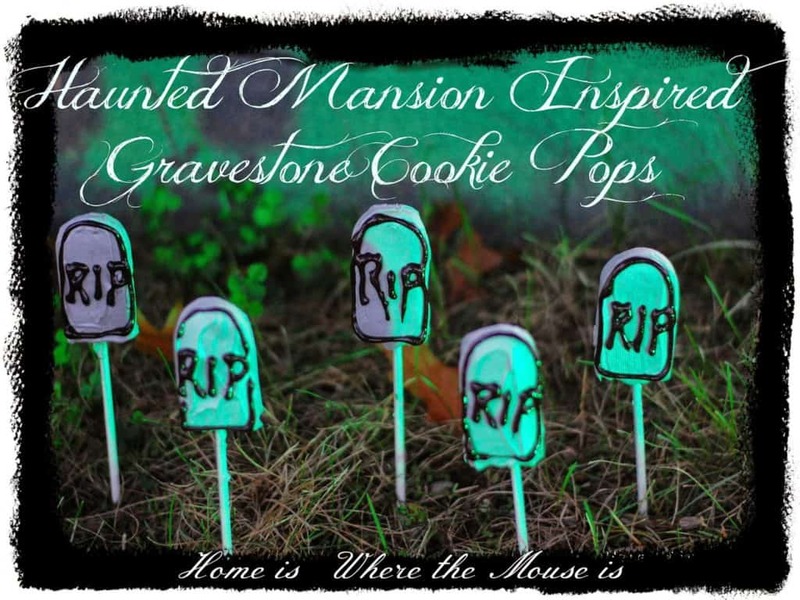 One of the delicious treats we have on our Devilishly Delightful Desserts menu is our Haunted Mansion Inspired Gravestone Cookie Pops. 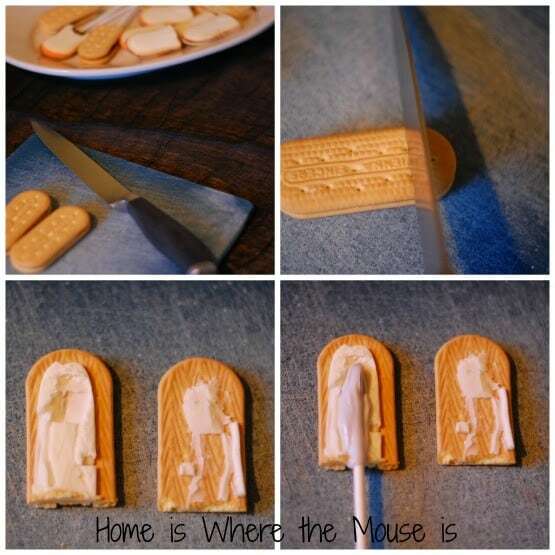 These easy to make cookie creations help to bring the spookiness of our outdoor decor inside. Plus, they add a little extra decor to our dessert table. Would you like to know how to make them? Start by melting the candy melts in a double boiler (or you could use the microwave, just follow the package instructions). 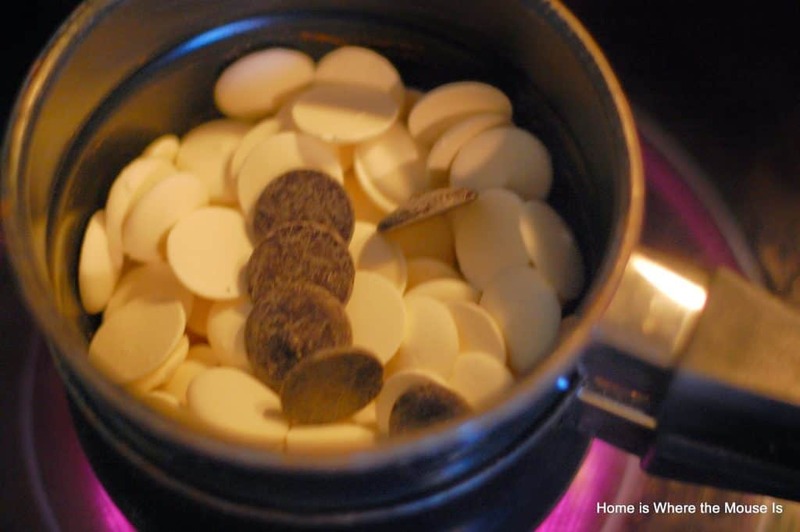 To make gray chocolate I used mostly white candy melts with a handful of black. Next, open the cookies. Dip the lollipop stick in chocolate. Nestle the stick in the cream filling. Close the cookie and press gently to seal. Carefully cover the cookies in chocolate. What worked best for me was to dip them first, then use a butter knife to spread the chocolate all over. They will be getting a cool finishing touch so it’s ok if the chocolate is not smooth. Use Color Mist food spray to give the gravestones a shiny look. Decorate the pops with your black writing gel, any way you’d like. I used RIP on mine. 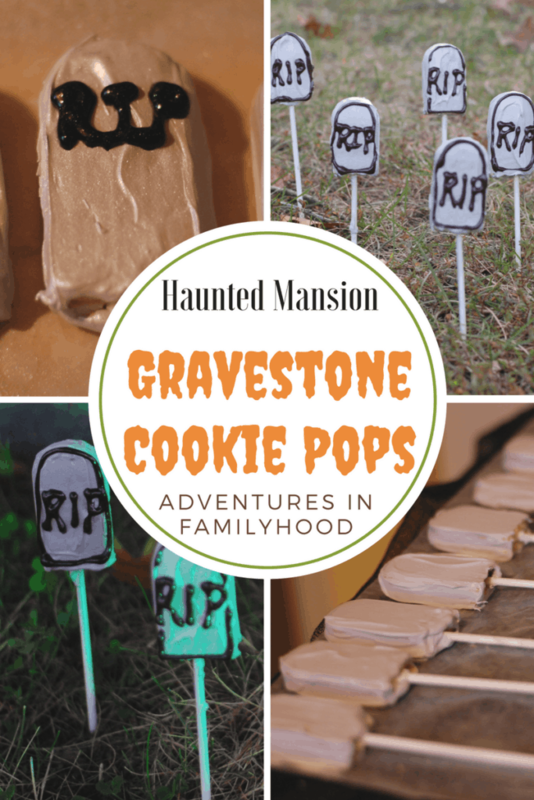 I also tried to decorate one in honor of Master Gracey, but only the MG would fit.These Gravestone Cookie pops are an easy and fun way to celebrate Halloween! Enjoy!